Whether we’ve been reporting from the front line, transforming dense academic topics into flowing features or interviewing stars from TV, film, sport and beyond, our focus has always been on crafting copy which is as engaging for readers as it is adept at getting across the key facts. We place editorial excellence at the heart of everything we do – and our finely-honed journalistic ability is even helping us provide added value to advertisers in one of the magazines in our stable of publications. In a market containing a number of magazines claiming to cater for Service families, we are proud to publish Army&You, which sets the standard to which other publications aspire. Unlike other titles which have no distinct military link and rely on bulk deliveries, Army&You carries the prestige of being the official magazine of the Army Families Federation and being sent directly to the houses of military families across the UK and overseas. Aside from its logistical and organisational advantages, Army&You also benefits from TylerBale’s decades of top-level journalistic experience. That manifests itself through regular editorial articles, but it is also reflected in the service we provide the advertisers who support the title. We work with organisations from sectors including education, law, health and retail to create bespoke advertorials which serve the dual purpose of highlighting each advertiser’s key selling points while also giving readers enjoyable, engaging articles. The autumn 2016 issue, for example, featured the first of a series of advertorials delving into what life is like at schools which cater for Service children. We worked with nearly 20 schools to find out how they help kids from military families, explore the key issues the youngsters face and highlight what parents can do to make the most of their offsprings’ education. As an advertorial, the feature does of course focus on the positive points from each school. But readers aren’t stupid and it takes more than a puff-piece to hold most people’s attention, so we made sure that the finished article was interesting, balanced and had a solid narrative. The result is a package which fits in with the tone of Army&You, provides information which is relevant and of interest to a defined readership and which has encouraged each of the schools – as well as a host of new ones – to continue working with us in the future. 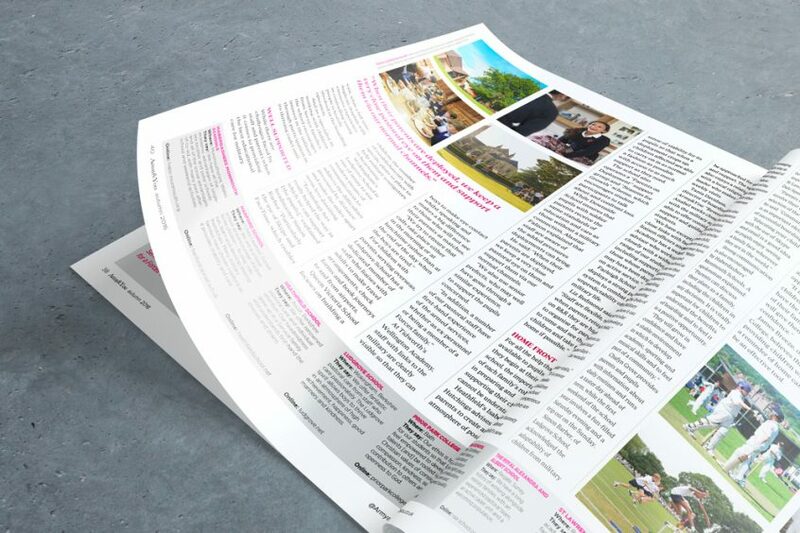 The professionally-written and carefully-edited copy reflects well on the schools as well as on the magazine, making the advertorial a winner for everyone involved. You can view the fruits of our labour on pages 37-41 of the digital issue of Army&You.